A computer miscalculation may be the reason a Qatar Airways Boeing 777-300 struck runway lights last week while taking off from Miami, Doha News reported. With the pilots potentially unaware of the impact, the 13.5-hour flight to Doha, Qatar proceeded routinely, despite what the initial Federal Aviation Authority (FAA) report called “substantial” damage to the underbelly of the aircraft. Virgin Atlantic issues an apology after a Heathrow-bound aircraft is grounded when its wing struck a blast fence at JFK airport. A Virgin Atlantic plane has been grounded at New York's John F Kennedy airport after its wing struck a fence before take-off. The Heathrow-bound aircraft was being pushed by a vehicle from a departure gate when its wing hit a blast fence around 8.30am local time. None of the 277 passengers and 14 crew aboard the plane were injured. It’s not the best of times for British airlines. Drunken flying incidents are on the rise to the point that airlines begun doling out lifetime bans to troublemaking passengers and is attempting to make a national database of disruptive fliers. The latest incident took place Thursday night on an easyJet flight scheduled to go from London Gatwick. According to a GCAA investigation report, an Etihad Airbus A340-600 diverted to Singapore when the aircraft suffered an intermittent obstruction of the aircraft left side pitot probes while en route over the Indian Ocean. On February 2, 2013, an Airbus A340-600 aircraft, registration A6-EHF, operating a scheduled passenger flight to Melbourne International Airport, Australia, departed Abu Dhabi International Airport at approximately 19:35 UTC. There were a total of 295 persons onboard: 17 crew members and 278 passengers. The captain was the pilot flying and the first officer was the pilot monitoring. An American Airlines plane made a safe landing despite reporting a smoky cabin during its approach to Dallas-Fort Worth International Airport Sunday. According to a spokesperson for the airline, American flight 5775 from Des Moines to DFW “landed and deplaned safely on the taxiway.” Information on Flightaware shows the plane landed at 12:39 p.m.
No passengers or crew were on board the SIA Airbus A330-300 when its nose gear retracted on Sunday morning, said the airline. This sort of incident is quite rare, thankfully. It happened only once at UL, around 1995, on the last of the Lockheed Tristars. Sadly all four staff (two engineers and two mechanics) involved in the incident were dismissed. I say sadly becuase all four were in fact good guys who are doing well in Middle East airlines now. Youthful exuberance, inexperience (both engineers had just qualified) and the time pressure of turn-around maintenance got to them and they cut corners 'to get the job done'! Good that they did not get their certifications cancelled. කිත්සිරි ද සිල්වා wrote: 4R - ULB ? Agree regarding the Licences; I guess the DCA felt they had been punished enough! Can't remember the registration, though. The decision by the Interstate Aviation Committee to suspend flying certificates for Boeing 737s currently in use in Russia will not result in flights being grounded, an official from Russian aviation watchdog Rosaviatsya was quoted as saying on Friday. Sergei Izvolskiy, an aide to the watchdog's head, was cited by TASS news agency as saying only Rosaviatsya can make decisions on flight suspensions. "Rosaviatsya has not made such a decision," he said. Airline easyJet said on Friday Egyptian authorities had suspended British airlines from flying into the Sharm al-Sheikh, meaning that many of the flights planned to repatriate British tourists from the resort would no longer be able to operate. EasyJet said that two aircraft which had already arrived in Sharm would be able to depart, but its other eight planned flights would not be able to operate. Prime Minister David Cameron on Wednesday said the British government had suspended British flights to and from the Red Sea resort airport on security concerns but flights were due to restart on Friday after extra measures were put in place. British tourists will fly home from the Egyptian resort of Sharm al-Sheikh on Friday with extra security measures in place after Prime Minister David Cameron said a bomb probably downed a Russian airplane, killing all 224 people on board. Cameron's decision to ground British flights to and from the airport angered Egypt, which depends on tourism revenue, and drew criticism from the Kremlin, which said it had not been given details of the intelligence behind Britain's move. A female passenger about 30 years old who was on a Boston-bound British Airways flight has been taken into custody by Massachusetts State Police troopers after the aircraft landed on Tuesday, police said. Police identified the flight number as 213, which left London's Heathrow airport at 6:57 a.m. ET (1157 GMT). Massachusetts police had initially said on Twitter that the passenger had attempted to enter the aircraft's cockpit but spokesman David Procopio later said in an e-mail that they have not confirmed whether that was true or what her motivation may have been. An airline spokesman told New York's ABC television affiliate that the passenger had tried to open an exit door. British Airways, which is part of International Consolidated Airlines Group SA , said the crew had asked police to meet the flight due to an unruly passenger. Live television images showed the aircraft parked at a jetway at Boston Logan International Airport. The FBI said it was responding to the incident. Flying is no more fun. Two Air France flights in US have been diverted with Bomb threats. Easy explanation - she was drunk and thought it was the toilet door! Girls will be girls! A former Alaska Airlines pilot has been charged with piloting a plane under the influence of alcohol. David Hans Arntson, 60, of Newport Beach, Calif., was arrested and charged Wednesday in U.S. District Court in Los Angeles. He is free on $25,000 bond until his next court appearance Feb. 10. Arntson piloted two flights June 20, 2014. The first, Flight 573, was from San Diego to Portland, Ore. The second, Flight 580, was from Portland to John Wayne Airport in Orange County, Calif.
After the second flight, Arntson's blood-alcohol content was tested at 0.134% and 0.142% in a pair of tests 15 minutes apart, according to the criminal complaint filed by Ashley Strickland, special agent with the Transportation Department’s office of inspector general. A person with blood-alcohol content above 0.1% is presumed to be under the influence, under federal law. “I bet it’s for me,” Arntson allegedly told his co-pilot, Charles Jamillo, after spotting the drug tester waiting at the gate at John Wayne Airport, according to Strickland. Crew members hadn’t seen Arntson drinking alcohol before or during the flight, and hadn’t smelled it on him, according to the complaint. Arntson could not explain the breathalyzer results, according to Strickland. Arntson told the investigator he had taken just a couple of sips from a beer at dinner the night before the flights, and that he had never had issues with alcohol or substances abuse. The airline removed Arntson from safety-sensitive duties after being notified about the test results. Arntson, who began flying for Alaska in 1982 and who became a captain in 1987, later retired from the airline. The charges carry a maximum penalty of 15 years in prison. A United plane slid off the runway at O'Hare International Airport upon landing. Some travelers were delayed when they missed connections but there are no injuries. United Airlines says the Boeing 737 was carrying 179 passengers and six crew members from San Francisco to Chicago. Passengers said most of the window shades were down during landing and they didn't realize something was wrong until the pilot made an announcement. "They didn't say anything before, it felt like a totally normal landing, and then after we landed they said, oh, we had some brake failure," said Kech Carera. "I didn't know if it was the brakes or not, but it felt like - there were just a couple little bumps and that was it," said Todd White. "It started out as a normal landing, plane touched down, he started to apply the brakes and it just started to skid out a little bit, and then we got to the end of the runway and he went to the side a little bit, you know, I think he did a good job," said Brian Clark. New research finds that increasing carbon dioxide in atmosphere will accelerate jet stream, speeding up transatlantic flights to London but slowing journeys in the opposition direction - adding 2000 hours in the air overall. I like to know whether the long flights - translantic consume more fuel vs reduce time in some way? Why would people want to travel more and consume fuel more. Maybe my logic with air travel needs an update! Higher altitude uses less consumption but that is not the only factor. Direction of Jet streams, weight of the aircraft, how the loads have been distributed, types of engines fitted etc etc too are contributing to the final calculation. Most things are in our control but not all. So we strive hard to manage which are within our controls. In the youthful world of Indian advertising, Uma Tembulkar, 78, is an unlikely celebrity model. Ms Tembulkar is the lead in the advertisement, British Airways: Fuelled by Love, that has gone viral on YouTube and has Twitter tearing up over her. The six-minute film, uploaded a week ago on YouTube, has had more than one million visitors and made Ms Tembulkar a welcoming face that's beaming from a billboard at the Mumbai airport. "Ms Tembulkar brings on a heavy dose of emotion to the ad; meaningful not melodramatic," says advertising expert Vidhya Sankarnarayan. "It resonates with Indians like the granny who feels dislocated on flights and connects at a human level," she says. කිත්සිරි ද සිල්වා wrote: Higher altitude uses less consumption but that is not the only factor. 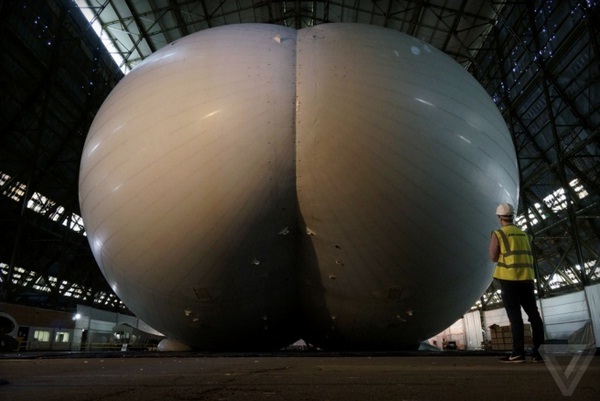 The world’s biggest aircraft will be tested over the UK over the course of the following month. The Airliner 10 is the length of a football pitch and is a mix between a plane, an airship and a helicopter. It was named after its ability to carry 10 tonnes, it measures 92 metres and can carry 50 people and reach a top speed of 91mph despite being 43m wide and 26m tall. It can stay airborne for three weeks unmanned and can operate in extreme temperatures, making it a possible search and rescue operation vehicle. It is usually featured in stories regarding construction and testing developments with images like the above photo, taken on 28 February 2014.